From Campbeltown to Dalwhinnie and from Arklow to Galway these 37 detailed routes take you on a wonderful journey through the Highlands and around the wonderful scenery of Ireland. Here you will find roads that twist and turn as they snake through mountains and alongside lochs, roads that make your knee itch to feel the tarmac and above all roads that will make you want to come back for the sheer enjoyment of riding. The routes vary in length from about 70 to as little as just a few miles. Some are included for their sheer remoteness, others for the technical challenges they present and all have the stunning landscapes associated with Scotland and Ireland and provide the sense of freedom and enjoyment that can only be gained from riding. The book is wire bound so it will easily fit in a map pocket or tank bag, and all the routes are printed in easy to follow symbols to help the rider navigate whilst on the move. 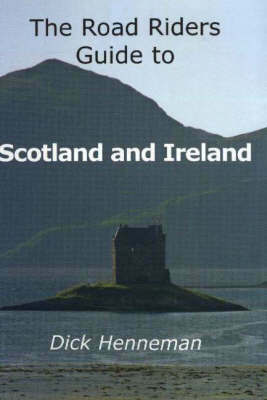 This is the essential guide for anyone going touring in Scotland and Ireland. It's features easy to follow maps, and full directions for sportsbike, tourer and classic riders. It fits in map pockets for navigating on the move. It includes information on things to see and where to stop on the road. It is designed for the motorcyclist.